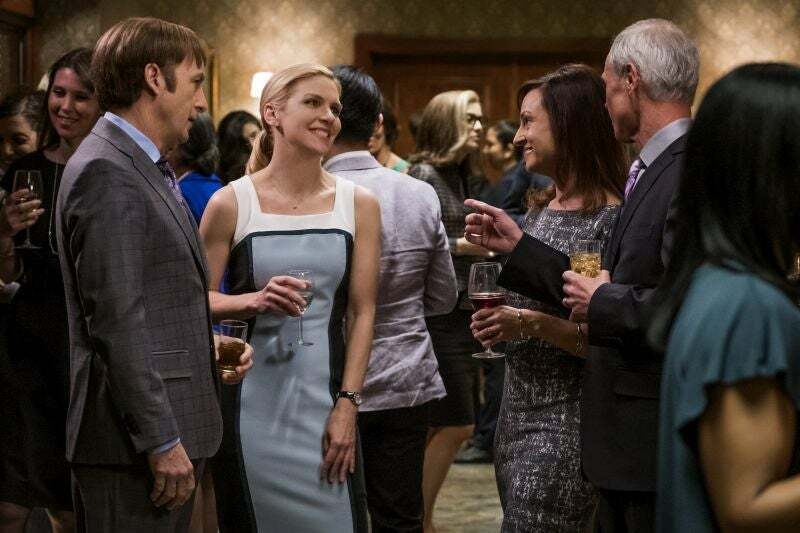 Better Call Saul 4.07 – Something Stupid In a time jump sequence of several months that advances the series to early 2004, Jimmy and Kim are shown to be drifting further apart. Kim’s arm has healed, and to Jimmy’s chagrin she thrives at Schweikart & Cokely, with Mesa Verde’s expansion continuing and Kim finding time to work on the pro bono criminal defense cases that give her satisfaction. Jimmy plans his return to practicing law, including searching for an office. His business re-selling prepaid phones on the street continues to grow, and he increasingly uses his “Saul Goodman” alias. Starting to get the sense that Kim is not that happy in her job. Maybe it is not what she wanted.